One of the perks of being in the academe is the chance to be on vacation at the same time that all students are on their semester-break. I took this once in a life-time opportunity to explore Indochina and the Malay Peninsula, an idea that was conceptualized when I had nowhere to go. I love world geography, as a matter of fact I teach it in the university. As a Filipino who has lived in a country completely surrounded with water and no country to share a border with, I am always fascinated as to how one can travel from one country to the other by land. The answer to this rather personal query came about in October. I traveled a total of 12 days (originally 11 days, but was left by my home-bound plane). I accumulated a total of more than 3000 kilometers land travel within 5 countries and 8 cities in this absolutely adventurous solo travel to the crossroads of Asia. The proliferation of the no-frills low cost airlines made my three hour flight from Manila to Ho Chi Minh (a.k.a Saigon, HCM) relatively inexpensive. The airline may have no free meals but with all the sandwiches in my hand carry seem as if I am in first class. My ticket costs 1,800 Philippine pesos (taxes included) or merely US$42. The absolutely infuriating airport fee and travel tax in the Philippines was even more expensive! (Total of about 2200 pesos). The plane arrived in HCM past 1AM, and there were absolutely not many people inside the airport. Getting some Vietnamese dollars before getting out of the airport would be a good idea, at this time, no other money exchange establishments would be open or you would have to pay everything in US dollars. I hailed the first (only) taxi at the parking lot, the driver in his very crooked English, showed me the price I had to pay for the cab using a calculator. 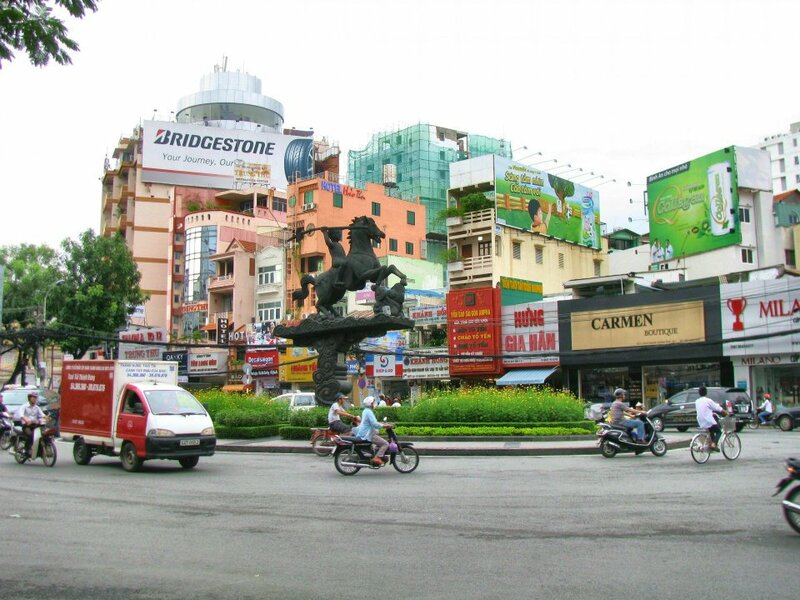 My destination was downtown HCM and I knew that somewhere there was a place I could stay. Part of my adventure is to check in a hotel without prior reservations. The taxi driver asked for a contracted price of $15 for the fare, he claimed that downtown is about 45 minutes away, which was to my surprise only about 10 minutes from the airport considering that we were the only (moving) vehicle on the streets (at that time). My first rip-off! The taxi driver knew exactly where to bring me. The front desk staff of the hotel knew his name and gave him a tip before leaving. The hotel is just one of the many lodging establishments lined-up in this street and as I walk around the next morning, I saw that tourists will not run out of choices as HCM is teeming with hotels from very cheap to the most expensive and luxurious ones. For $15 a night, I got a fully air-conditioned room with cable TV, Wi-Fi, hot and cold shower. It may lack standard amenities like shampoo and dental kit, I was sure it was just worth it. Just don’t mind if you see a folding bed in the middle of the lobby for the front desk staff, he was obviously in the middle of a deep sleep when I arrived. 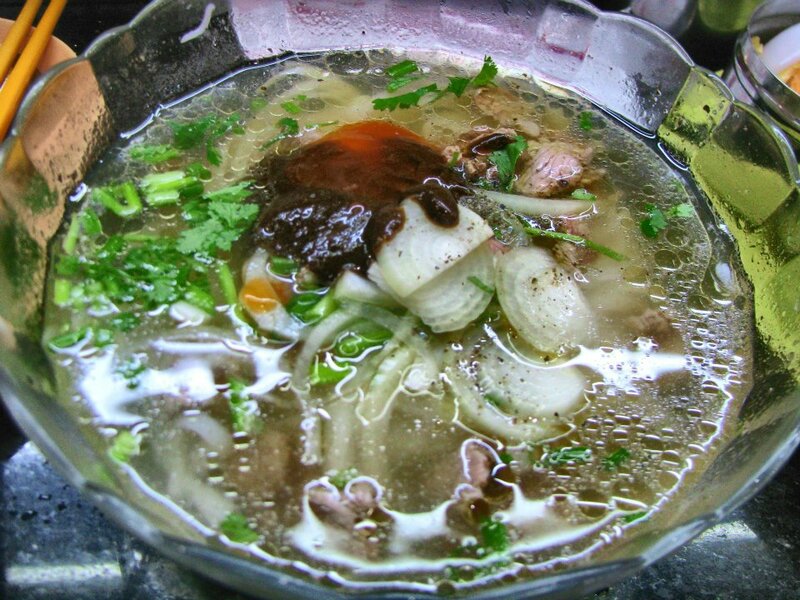 My first day in HCM began with a breakfast of traditional Vietnamese soup in Ben Than Market. Ben Than Market is haven for bargain shoppers and collectors. My hotel is just a few blocks away from this market. 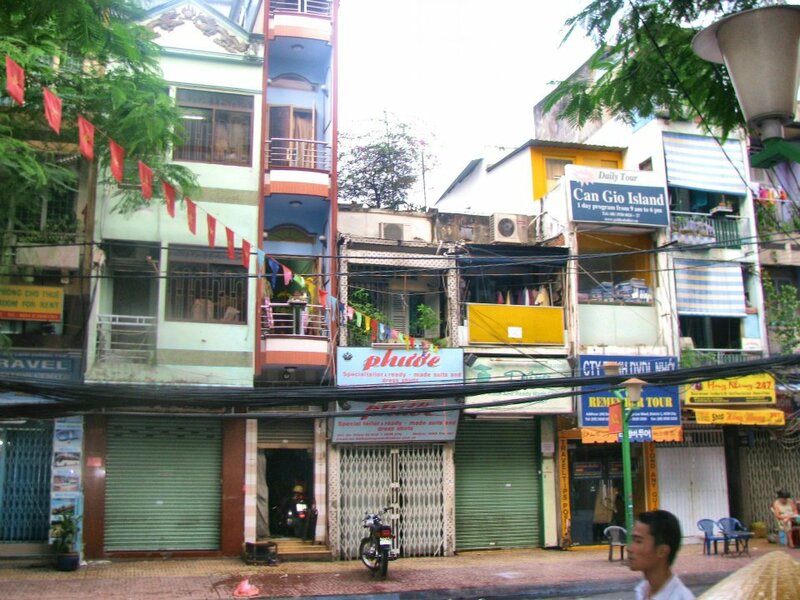 I find it a bit comforting to see many tourists around where I am staying; obviously I was brought to HCM’s famous backpackers’ area. 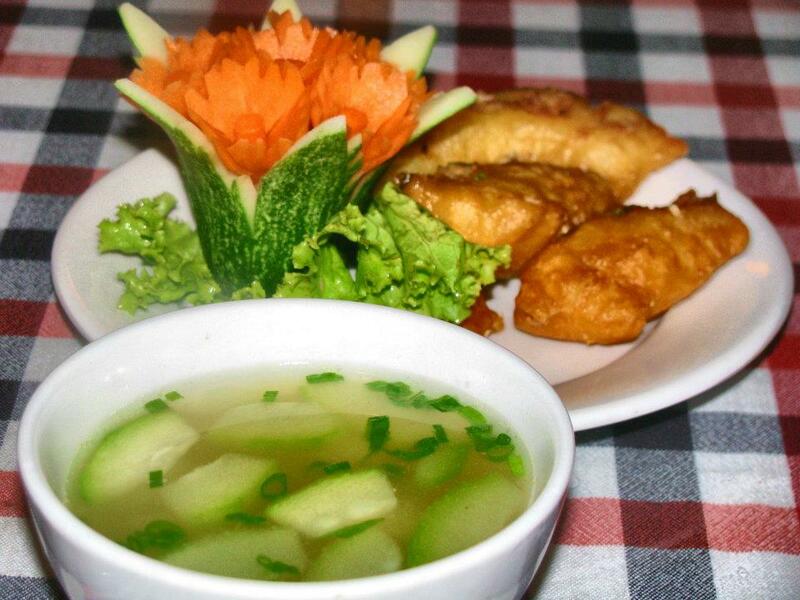 One can find an array of quality (this is relative) Vietnamese souvenirs and products ranging from food, fruits, spices to beautiful and colorful weaves, textiles and many more. Most items are very affordable but I just had to haggle for the prices and I still get further down discounts! 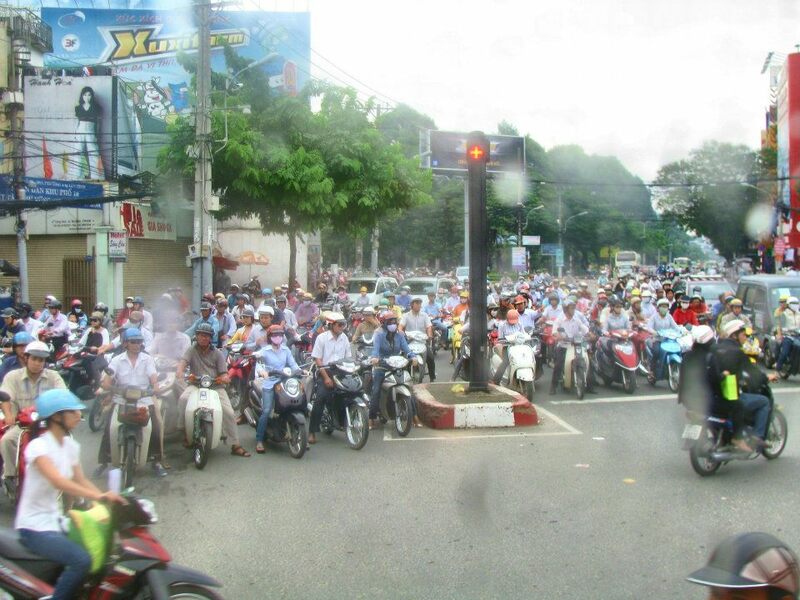 Walking in and around HCM is exciting but you have to be careful when crossing the streets. There does not seem a strict traffic law on driving a bike. 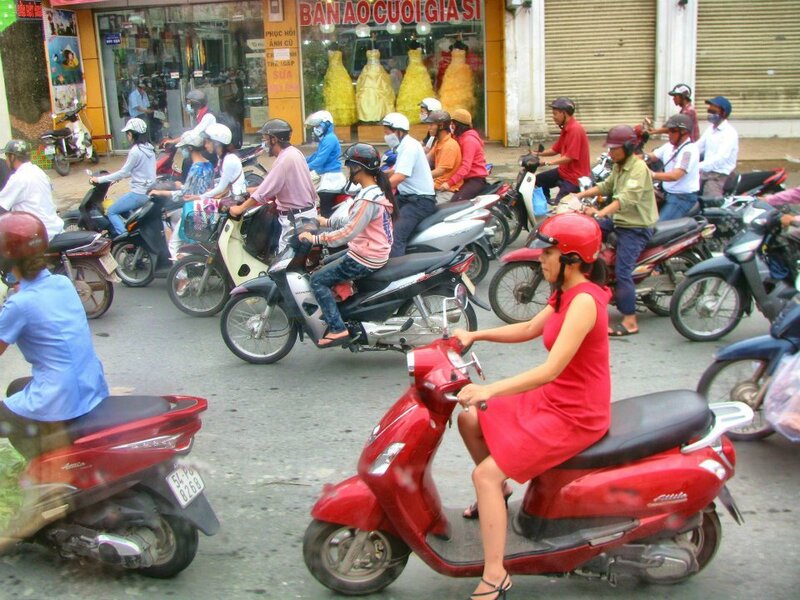 Truly I should say that Vietnam is the motorbike capital of the world. Everyone from teenagers to old folks, to office ladies to men working in a field owns a motorbike. 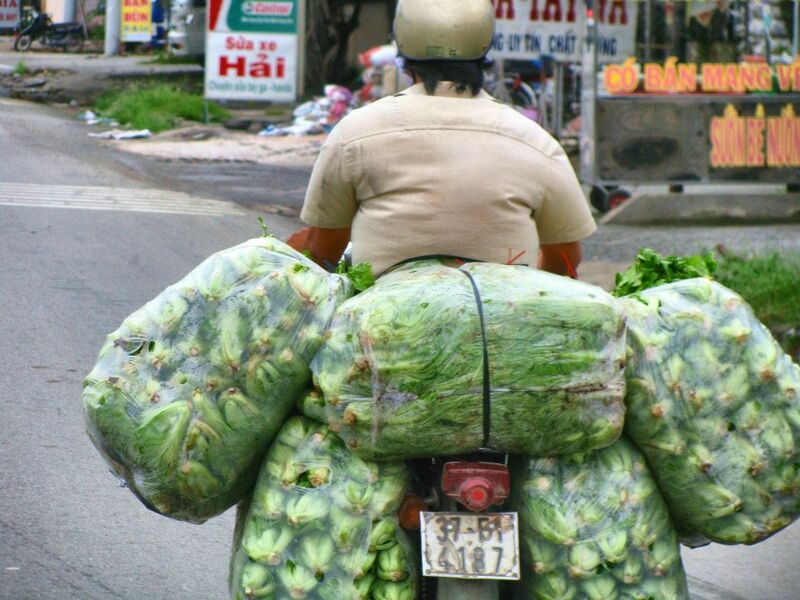 It is amazing to see many of them balance piles of house doors, sacks of rice and tin roof on a person in a bike. The possibilities are endless, so the culture shock would be endless too! There are packaged city-tours offered in hotels and travel agencies at the city center. Just like hotels, there are many options for this too. Be vigilant for fixers and people promising something but given something else. Be careful also when bikers offer a tour around the city. The safest way to go around would be of course with other tourists in a van or bus. But if you feel like really adventurous, make sure to really scrutinize what people offer and be ready to pay the price, if you are unlucky. Here’s what happened, after I shop in the market I walked around the busy streets of HCM, if you like people and fascinated by a foreign culture, do this, its fun. I obviously look like a tourist because of the camera that I carry, the shopping bags and of course my (hiking) outfit. I was approached by a man, maybe in his 40’s and offered me a tour around the city in his motorbike for $10 per hour. I thought it was a good deal and a total cultural immersion. So I inclined. He brought me to another market until he offered to bring me to the Chu Chi Tunnels, of course I wanted to. 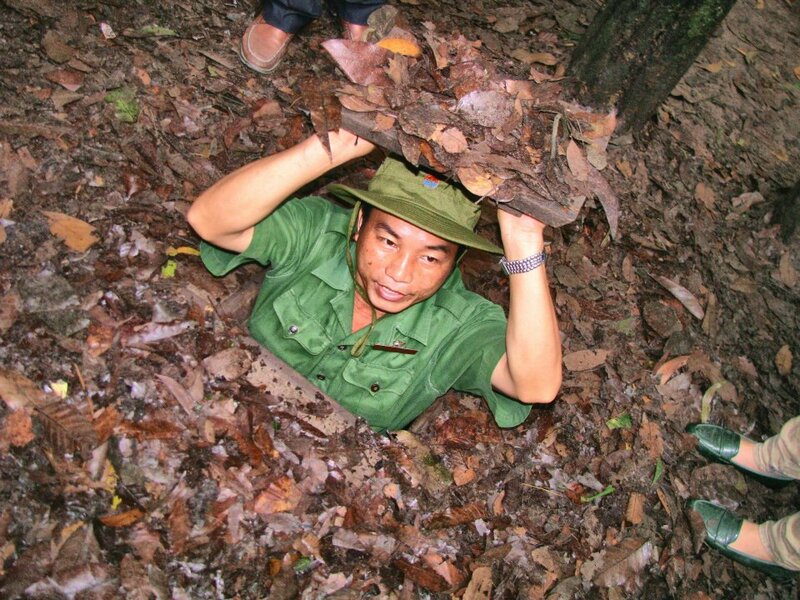 What I did not know is that the Chu Chi Tunnels is right outside Ho Chi Minh about 60 kilometers away. It started to rain and he bought me a raincoat (charged to me later on). I was mostly concerned with my passport not to get wet. (I can’t leave it in the hotel because I found it unsafe). In the middle of nowhere, about 40 kilometers away, with thunders as my background he said (in a very crooked English, suddenly he couldn’t (wouldn’t) talk or understand English! 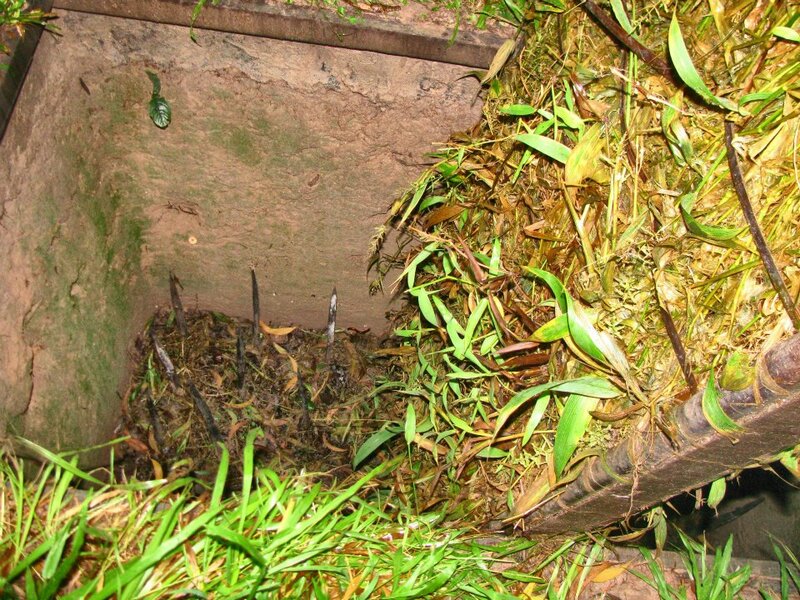 ), “I cannot bring you to the tunnel its far, but I will bring you back to CHM you pay 2 million dollars! ($100).” I was really shocked, I was being robbed nicely! Somewhere really far, in the middle of what seem like endless farming area, rain and thunders, no other vehicle in sight, I was being robbed. I argued…until I haggled (using his calculator), then I begged, and then I agreed because it was getting late and who knows what else could be in store for me if I do not agree. But, I told him that I do not have cash and I will only withdraw in the city, I thought of getting money from the ATM near my hotel so I could report him to the police, much to my surprise, not very far from where we stopped was an ATM! Anyway, he was still true to his word that he will bring me back to HCM, and I made it there. I’m glad to see HCM again, this time, the sun was shining. I saw a tourist bus that offers a $9 tour to Ho Chi Minh Tunnels; I booked for the next day. After which, a tuk-tuk which was waiting outside the venue took me to a ride around the city towards the harbor. 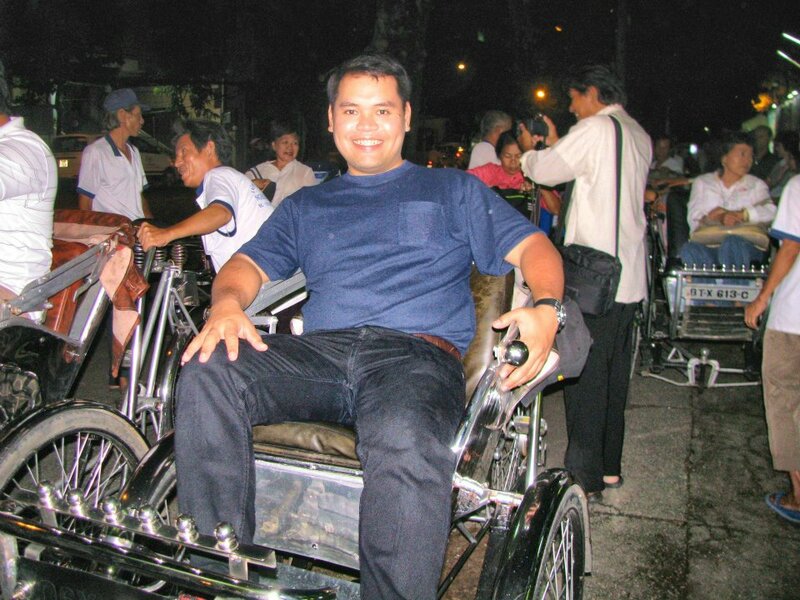 A tuk-tuk ride is a must, you get to see HCM at night, and you would feel it resembles (somehow) Paris, particularly if you see their version of the Notre Dame Cathedral (with the same name). 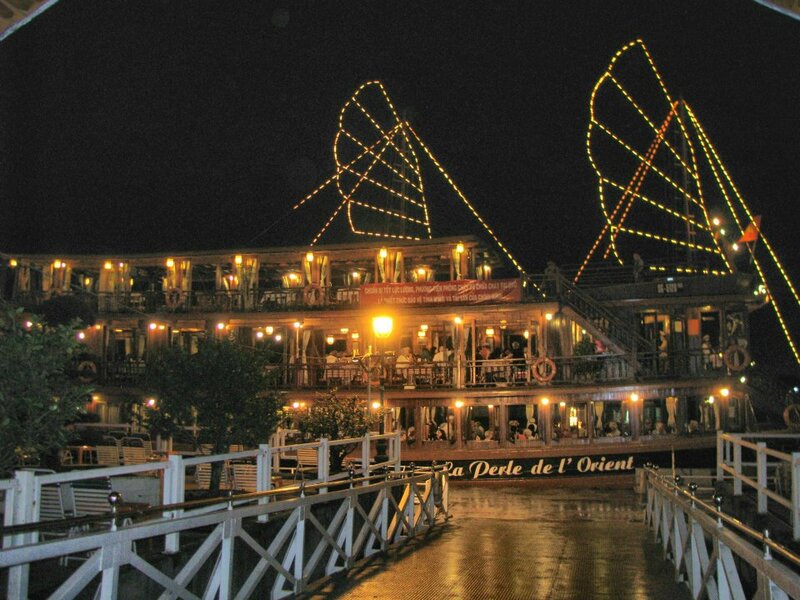 The ride took about 30 minutes and we were brought to the harbor where this well-lit cruise ship awaits. 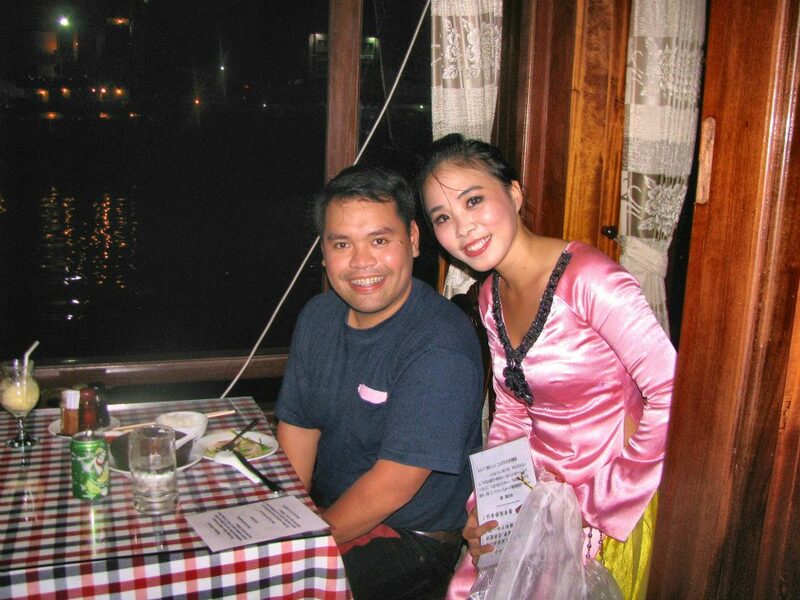 The 5-course meal was nice, authentic Vietnamese cuisine was on the menu of course. 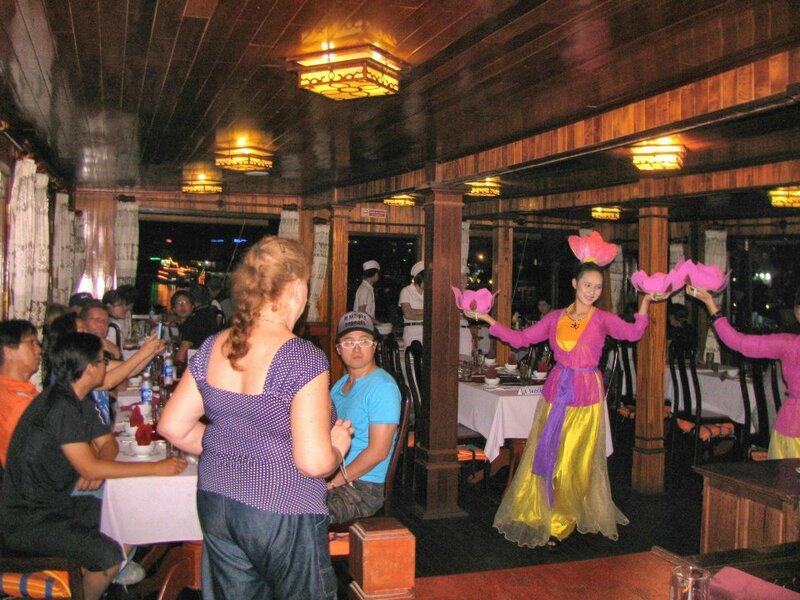 There were beautiful maidens dancing to the tune of some Vietnamese music that entertained all the passengers during dinner. 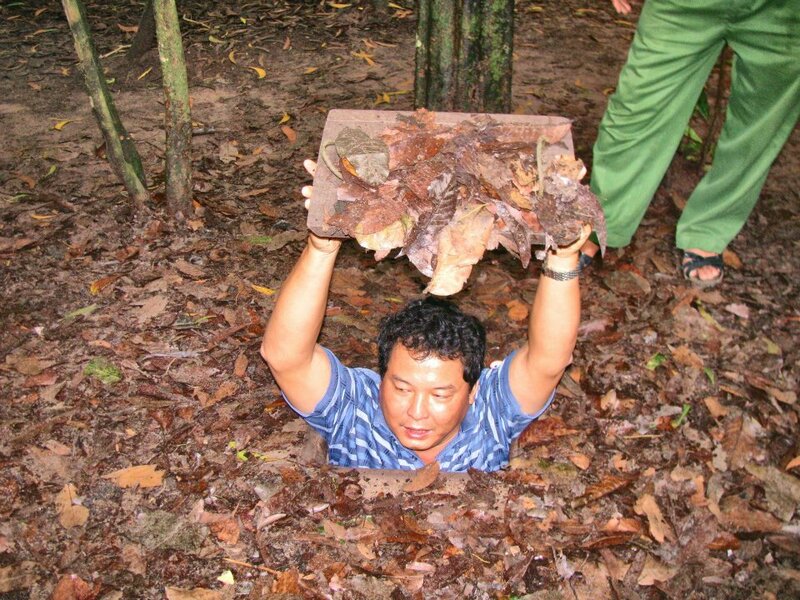 A visit to the Cu Chi Tunnels is a must when visiting HCM. I did it very early the next day; reminiscing the Vietnam War was humbling, sad and disturbing all at the same time. To think that it had to happen, that it claimed so many lives and all that is just, just… I’m out of words. 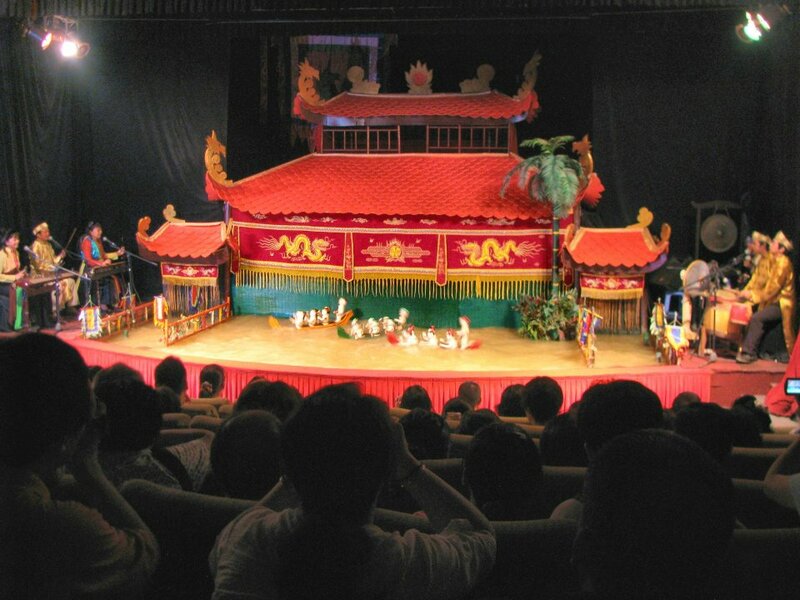 The sights, sounds and colors of Ho Chi Minh is one for the books as it truly showcases Asia’s authentic culture. The Vietnamese people are generally pleasant, the food is amazing (my breakfast in the market) and the whole Vietnam adventure was humbling. 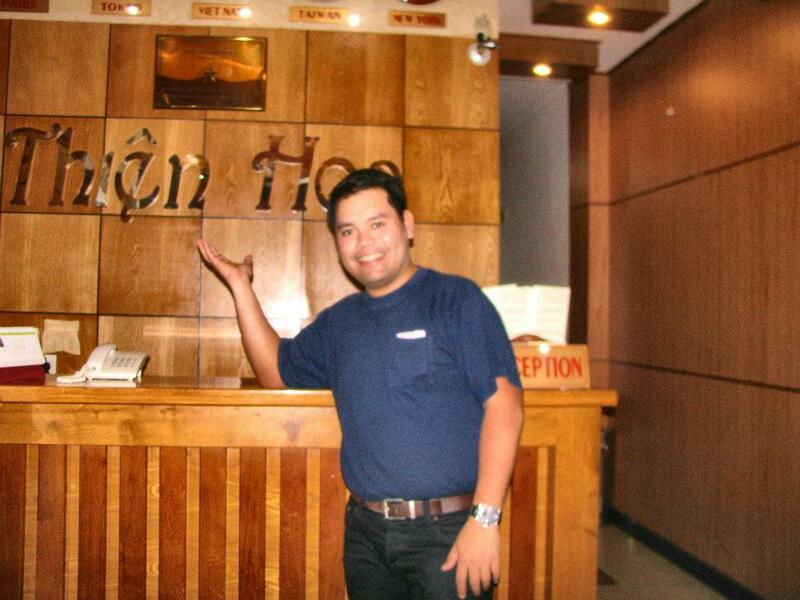 I will surely go back to Vietnam to reminisce my moments in my 5 country adventure where it all started! Research in advance where you are going, where do you plan to stay and how far away it is from the airport. They are all available in the internet. Learn the local dialect, basic greetings or important questions like how much? How far? And others will come in handy. Learn to say “NO” in a local language of the place you’d like to visit and try to haggle on prices (if you are on a tight budget). Ask around for options, do not just grab the next (possible) opportunity that comes your way, and be vigilant and observant. If you are on a budget, stick to it no matter what! what an experience sir. we should really be aware of things. truly innocence is not an excuse. pero over-all it looked like a good experience. this is a very good blog article. 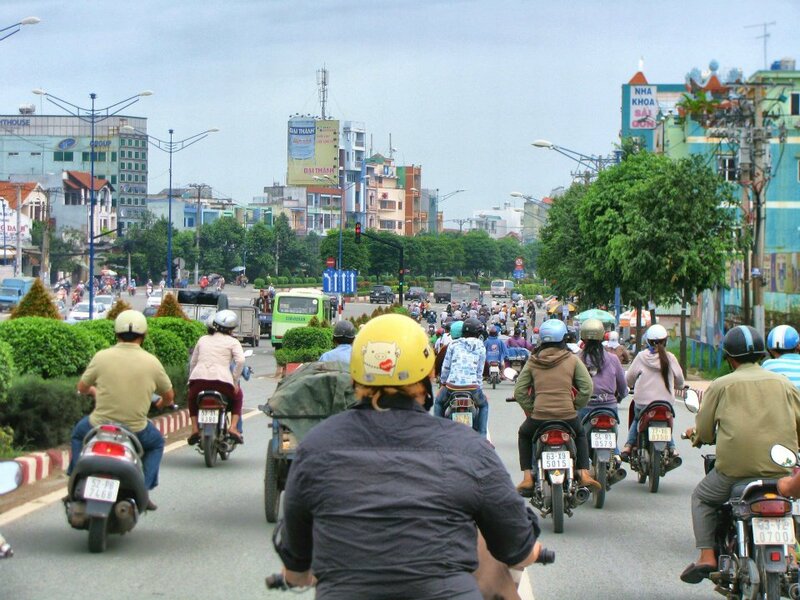 will be going to Viet Nam and Cambodia next month and will refer to this article as a guide. thanks for sharing. 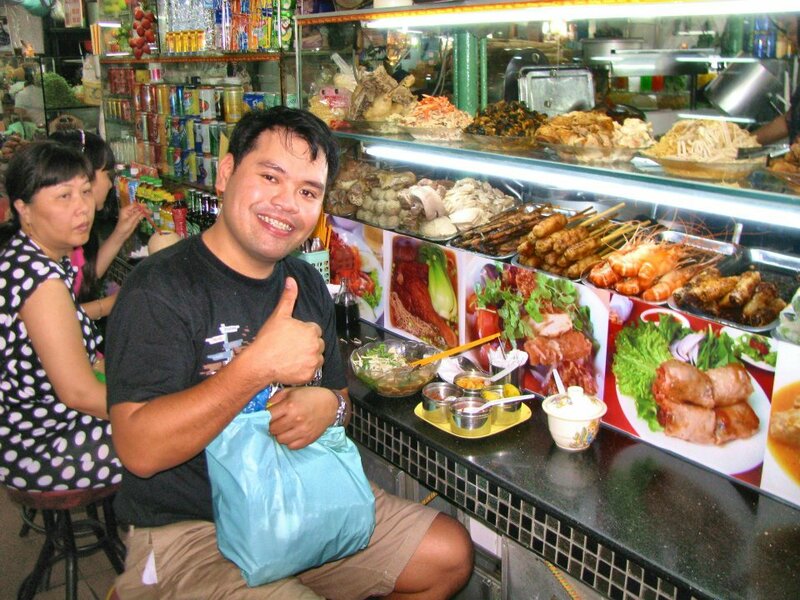 I so want to travel to Southeast Asia, and your post really makes me want to go to Vietnam. Great photos! I look forward to seeing more of your adventures. Thank you for stopping by my blog and liking my post on the Rotterdam hotel experience.